Superdry women’s Fuji Slim double zip hooded jacket. 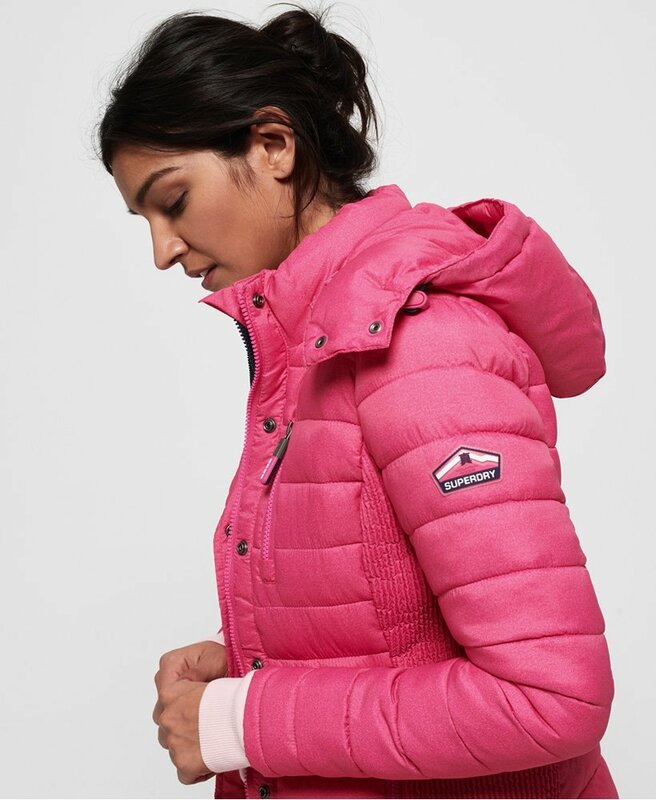 This classic quilted jacket features a popper front placket and a double layer zip fastening with two-way zips. The hood has a bungee cord adjuster and a stylish removable hood. The Fuji jacket also has elasticated side panels for added comfort and three external zipped pockets for practicality. The jacket is finished with a Superdry Mountain Goods badge on the left sleeve and elasticated cuffs.